Investors are placing another huge bet on a startup looking to reinvent a decades-old process into something that’s near instant, this time pouring $325 million into Opendoor — a company that wants to bring the complex operation of buying or selling a home down to something similarly as simple as hailing a Lyft. The idea of Opendoor is one not so dissimilar from a consumer theory that’s blossomed into companies worth tens of billions of dollars — consumers hate complex processes and are willing to hand off those processes to technology companies if they can make it even a little simpler. Home-buying and selling can be one of the more intense ones, requiring a lot of moving pieces and coordinating multiple time tables and schedules. Opendoor’s theory is that it can create a sizable business by dropping that time and energy cost to zero and effectively create a new technology-powered business model in the process, just like Uber or Airbnb. Opendoor says it hopes to expand to 50 markets by the end of 2020 with this additional financing. It is in ten markets right now, and also says it now purchases more than $2.5 billion in homes on an annual run rate. The company says it has raised a $325 million financing round co-led by General Atlantic, Access Technology Ventures, and Lennar Corporation. Andreessen Horowitz, Coatue Management, 10100 Fund, and Invitation Homes also participated, as well as existing investors Norwest Venture Partners, Lakestar, GGV Capital, NEA, and Khosla Ventures. Opendoor has in total raised $645 million in equity and $1.5 billion in debt. Opendoor has also sought to expand its efforts to make viewing those homes just as seamless. The company enables potential customers to check out a home by opening it with the app seven days a week. Wu said that most potential buyers go to the house each of the seven days up to the transaction, and then seven days after the transaction happens. Given that it’s such a significant step for any home owner, it makes sense that a lot of planning and consideration would go into the process. 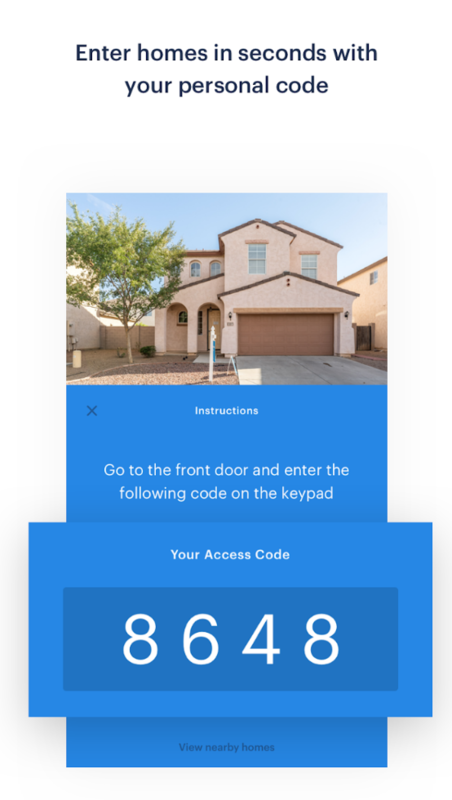 The next step is to create a sort of trade-up system, where Opendoor works to create a streamlined way to turn around an existing home for a new home. Still, buying (or selling) a home is one of the single-largest transactions a consumer can do — especially if they are in a major metropolitan area where houses can quickly hit the $1 million-plus range. So it’s still a hurdle to convince consumers that they should press a few buttons to make a transaction in the hundreds of thousands of dollars. Wu said that the challenge there was to build enough trust with customers that they realize the process should be as seamless and powered by transparent data. “It’s something we faced early on when we launched the service,” Wu said. “We were asking sellers to sell their home online to a tech company. A lot of the things we’ve done — like lowering the fees and being transparent about pricing — has helped us build trust. It’s one of the largest financial transactions anyone makes. We have to build a world-class pricing model, be transparent about how we got to the quote, make it a low-fee service, and this helps provide a certainty around the process. To try to do all this, Opendoor says it’s built a robust data set that will help best model potential prices for homes and be more transparent about that information. Wu said Opendoor currently employs around 650 people and hopes to double that by the end of next year, and the company is investing a significant amount of capital in growing out its data science team. The challenge is to understand the dynamics of the housing market — and any potential chaos — in order to best assess how to buy and sell those homes. Opendoor acquires some risk by purchasing some homes and holding them for a period fo time, so ensuring that the company knows how the market performs will be one of its biggest challenges. Opendoor is certainly not the only player in this area, as some competitors like Knock and OfferPad are starting to raise additional capital. Knock picked up $32 million in January last year with a similar bet: simplify the home-buying process and handle all of the details behind the scenes. If anything, it’s shown that there’s an appetite among the venture community (especially one where the numbers just keep getting bigger) for models that look to tap the same consumer demand of simplifying overly complex processes to just a few inputs on a smart app powered by data science.